We all wish we lived in a world in which it's easier to stay healthy and fit, but we just don't. With all of today's distractions even if you want to work out or eat healthier, our schedules don't always allow time for it. We need to find a way to integrate both health and fitness practices without compromising on obligations. Well with today's booming industry of the Internet of Things, or IoT, the solution might just lie in these smart devices. Let's take a look at how these 6 smart devices could help you get back on track with your health and fitness. Your scale can tell you a lot of things, but it is still limited when it comes to tracking how much muscle and fat you have. If you are gaining weight, how are you to know which one is the culprit? 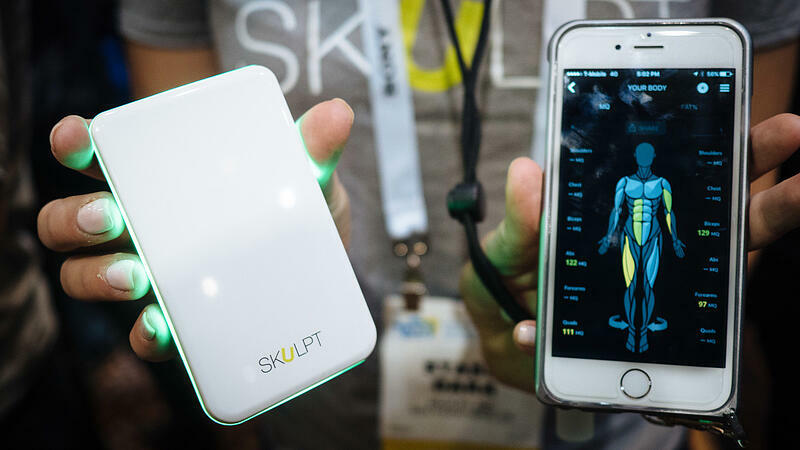 The Skulpt Chisel is a personal handheld scanner that detects the amount fat and muscle in a specific muscle group or area of the body. It detects the areas that have more fat than others and even detects unequal muscle growth. Once it scans your different muscle groups it puts together personalized workouts to overcome the issue detected. Never worry that your workouts are going to waste and tackle those stubborn areas where fat accumulates. 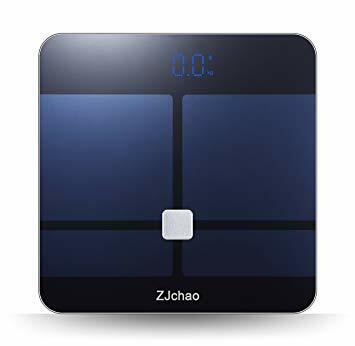 Unlike most scales, the ZJChao Smart Fitness Scale measures not only your weight but 7 other elements of health and fitness tracking. With so many tracked metrics and the ability to support up to 400 lbs., this scale is designed to help anyone at any level. It also has a helpful app that stays up to date with changes in your body. The ZJChao scale gives you a personalized feeling offering up to 10 personal profiles, perfect for a family or office team. It can even detect who you are just by stepping on the scale. Overall this scale offers much more than the average scale, making it easy to track 8 very important indicators in your journey towards greater health and fitness. When you imagine what a smart device looks like, clothing probably doesn't come to mind. The only wearable smart devices we see most frequently today are smart watches, or maybe those waistbands that have a built-in pedometer. Athos clothing has a lot of amazing features but one that stands above the rest is the Electromyography, or EMG, biosensor. The EMG biosensor measures the amount of electrical activity near your skeletal muscles to determine what muscles are active and just how hard they are working. No more doing the same motion and getting no results. The EMG will even let you know when your form may be off. 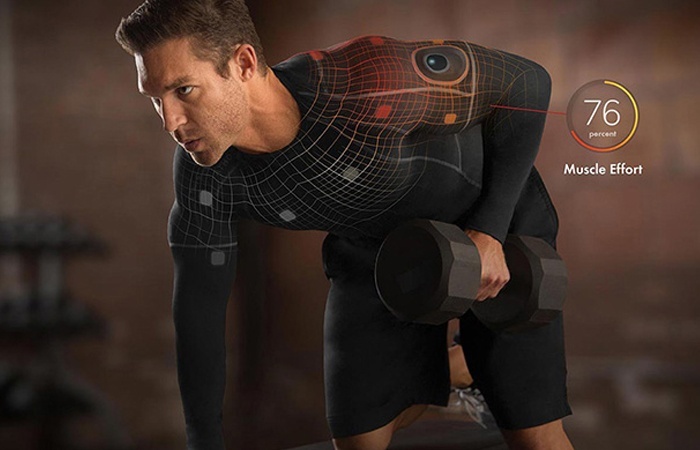 With this kind of data, being recorded in real time, no other athletic clothing comes even close to improving your health and fitness like Athos smart clothing. Most people don't think much of the environmental conditions of the rooms we spend so much time in. Things like lighting and temperature are conditions that can affect us and how we spend our time in that space. 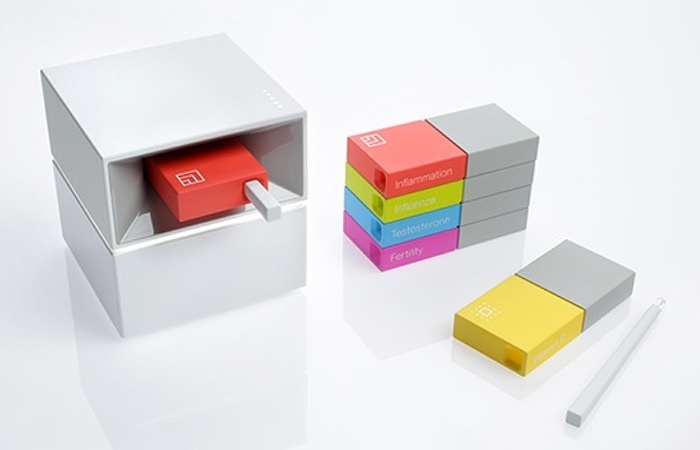 CubeSensors are small devices that pack a powerful punch of environmental tracking in the room or space it resides in. Depending on the activity that you are doing in a room, it will adjust the conditions to best suit that activity. The most useful time for this feature is bedtime. While you are sleeping the CubeSensor will be adjusting the conditions of your bedroom to best suit you. It bases its adjustments on previous night's activity. We all know how important mental health is in aiding physical health, and strong mental health starts with a good sleeping schedule. 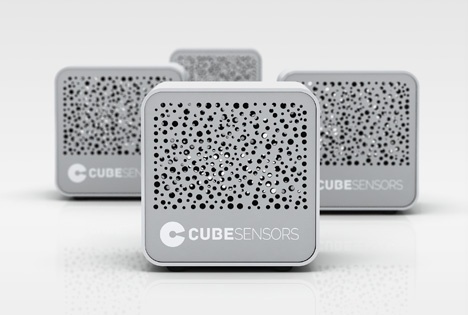 The CubeSensor is an amazing little device that will not only help you get the most out of your rooms and spaces, but it will also help you be a healthier and more rested individual. There are thousands of food and supplement products on that market that claim to be the secret to losing weight. What if, though, it was less about what we eat and more about how we eat? Well, in reality, it is a mix of both. The HAPIfork has set out to show that how you eat is just as important as what you eat. 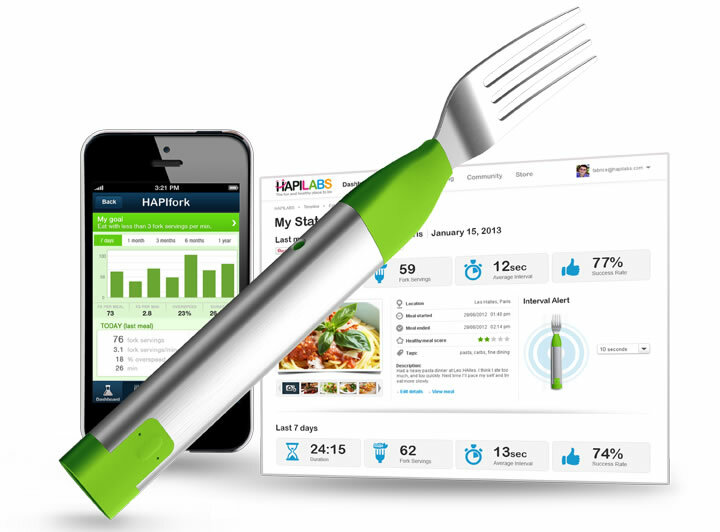 The HAPIfork is a smart untensil that tracks and monitors your eating habits. If you are eating too fast, the fork will vibrate letting you know to slow down. Each time you scoop up food from your plate and bring it to your mouth, the fork records that action as a "fork serving". The HAPIfork will track the amount of time in between each "fork servings", amount of "fork servings" in a minute, and how long it took to complete your meal. A major part of weight control is self-control. Having something keep you accountable when you are eating each meal can dramatically change you and ultimately help you achieve your health and fitness goals. What if smart technology could speed up the process of getting the medical help you need? The Cue health monitoring system is an internet-connected diagnostic platform that allows faster and more convenient access to important health information. It is a set of smart self-serve tests that can be used at home or by a health professional, with results sent to your mobile device in minutes. These tests use small disposable cartridges that a small sample is inserted into. In minutes, advanced DNA/RNA amplification and immunoassay chemistry are used to convert the data collected into readable digital data on your devices. All data is easily reachable and managed in a user-friendly app. Cue is still only available for pre-order but could prove to be life changing for many when it is released. Quit making excuses for why you can't work out or eat healthier. With today's advancements in technology, it is easier than ever to improve your health and fitness. No longer are the days or writing down weight changes and tracking how many calories you are eating, your devices will do it for you! Just do your research to find the smart tools that align with your needs and find the success you were looking for without so much hassle. Smart technology can not only help improve your life through health and fitness, there are multiple ways that smart technology can improve your day to day life. Check out the benefits of smart home technology for example! Or talk to a specialist at KP Evolutions to find out more about smart home devices that can help you automate things in your home, ultimately making the day to day things less time consuming and more efficient! Utilize the many tools provided in this template to boost your technology product or service.